"My fiance and I found Erin very last minute.. We're talking one week before the wedding. Thank God we found Erin. She was a lifesaver and made everything happen. She organized all my ideas and made them come to life. I dont know how she did it especially in such little time. Erin is very personable, and likable, and very easy to talk to, I knew instantly that she would get the job done. With only a few days and little direction from me she was able to take my ideas and make them come to life. The outcome was pure perfection, I'm so glad that we hired her to make our day run so much smoother and let me relax throughout the process. If you're thinking about it, don't think about it any longer.. she's the right person for the job, if I would've done it all over, I would have hired her sooner." - Rocio O. "Your design was pretty amazing!" - Samantha C.
"Not only did the kids enjoy the party, but the parents participated as well...'The Best!'" - John R.
"When I talked to Erin and told her my budget I was afraid I wasn't going to be able to pull it off, Erin kept in touch w/ me constantly, as she planned the menu, the decorations and activities....there were activities from toddlers to adults. I highly recommend her for your next event/party." - Yvonne M.
"Exceptional service and brought a unique a wonderful touch to our wedding. I couldn't have been more happy with the way everything turned out." - Mark R.
"This lady is preventing me from becoming a 'Bridezilla!' I'd be going crazy if I didn't have her. " - Jessica O. "I loved your design! You've got quite an amazing talent!" - Jeanette F.
"This was our best annual Halloween party yet! "- Ron S.
"All the hand-lettered name settings for each guest was above par. The decorations were outstanding. Everyone at the wedding commented on how wonderful everything turned out. My wife and I were very pleased. I would recommend Erin to all my friends." - Richard B. "I didn't expect to stay this long at a children's party...even us parents were having so much fun!" - Guy N.
"I can't wait until my next event so you can design it! " 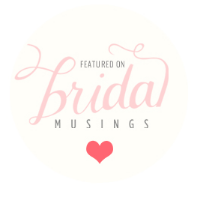 - Delilah M.
"Erin is the best at what she does, she gave us our dream wedding. I honestly don't know what we would have done with out her. She is super detail orriented, amazing, friendly, she became like family to us. We didn't have to worry about anything the day of our wedding she made sure everything ran smooth. If you're planning a wedding you definitely should hire her. We would definitely hire her again for another event. "-Jessica and Rigo O. "Erin is easy to work with and very creative. She is responsive to emails or phone calls and timely in accomplishing each phase of the planning. Erin takes feedback easily and prioritizes the client's desires, while also offering additional suggestions. She is thorough and sees the event through to the end. I feel that others would have a successful experience with Erin, just as I did." - Mary C.
"Our wedding was beautiful and stress free due to Erin's attention to detail and constant communication. She helped us ask the right questions to determine our venue and the details, such as cost, chairs, linens, flowers, etc. She has contacts with great vendors which also made everything flow smoothly and come together. We are forever grateful for her support throughout our wedding planning and during our special day." - Monica and Jose R.